I've been eyeballing The Deadly Tower of Monsters for a few months now. Atlus USA has been pitching the game every so often in email form, and its art style and premise have been enough to keep me interested. 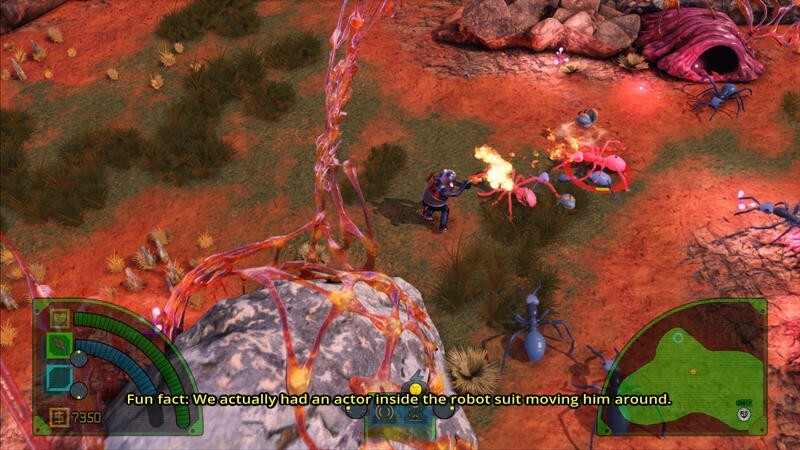 This game is set up like a Director's Commentary of a classic science fiction flick. 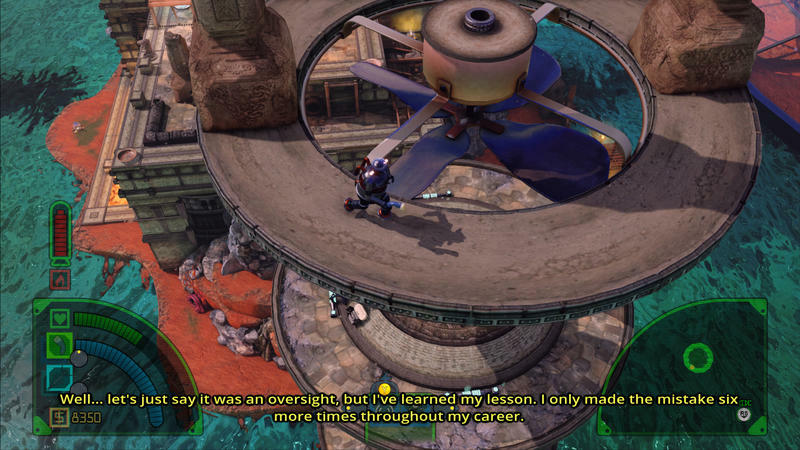 The director himself narrates the adventure, referencing the actual production of the "film" as you play. That's the vibe. It's cheese upon cheese done up in a very purposeful fashion, and it works on the whole. Then there's the game itself. 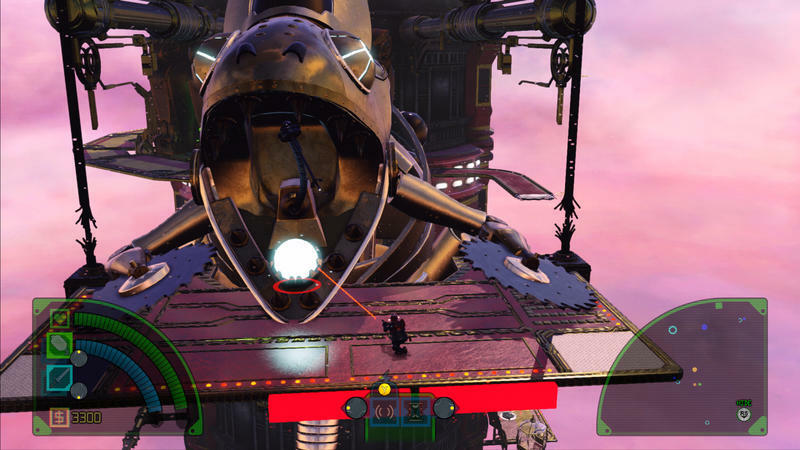 You'll scale a tower in an open-ish world as you fight classic sci-fi tropes. 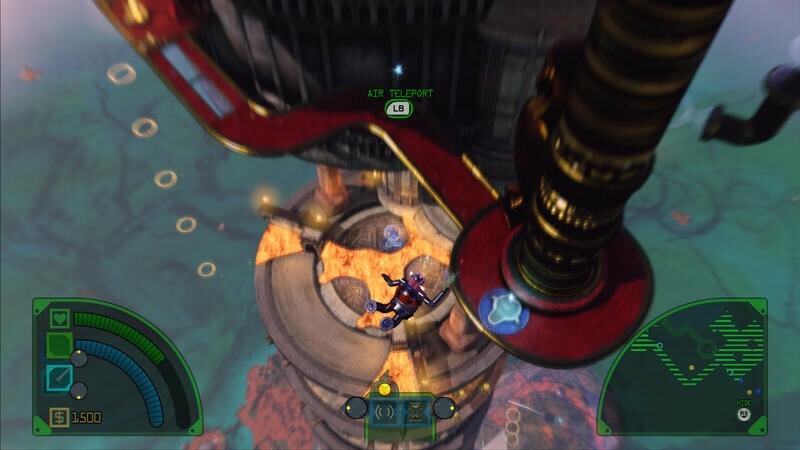 The cool bit is that you can jump off of the tower at any time, freefall from great heights and teleport to your last standing location at the touch of a button. This game is not perfect; however, the premise and mechanics work together enough to make it fun for the right type of gamer. 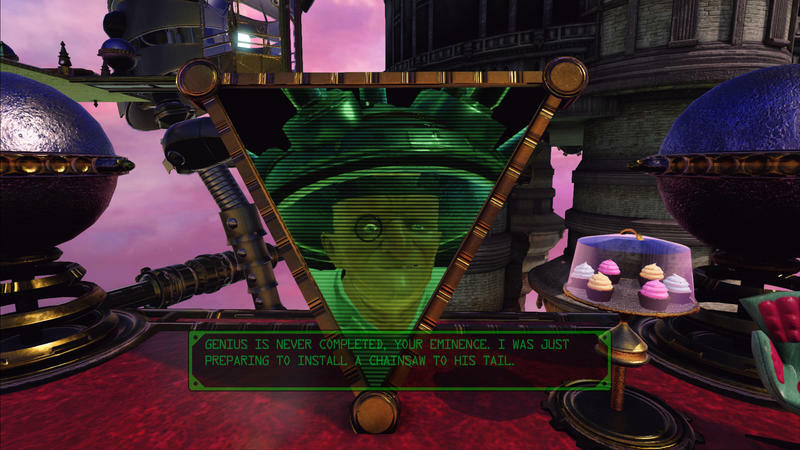 What's going to determine whether or not you enjoy The Deadly Tower of Monsters is how willing you are to take on a game that's exceedingly simple when it comes to mechanics. See, fighting monsters (and you'll do a lot of fighting monsters) is largely the same throughout the entire duration of the game. You whack, or you shoot. You can dodge and charge attacks, but it sort of stops there. Your weapons can be upgraded, but they all feel nearly identical. 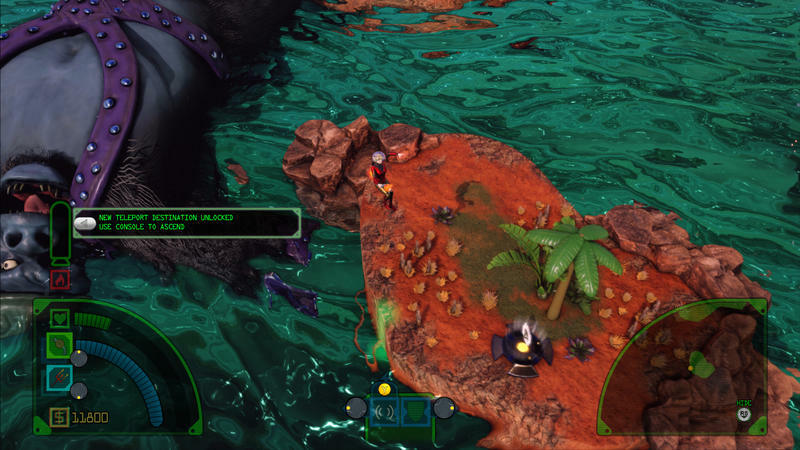 They seem to fall flat in combat, regardless of how much damage they do, and that means the actual act of hacking and slashing and blasting your way through hordes of baddies isn't all that fun. It's just okay. It's mediocre. It works. For a budget title, that's sort of acceptable. 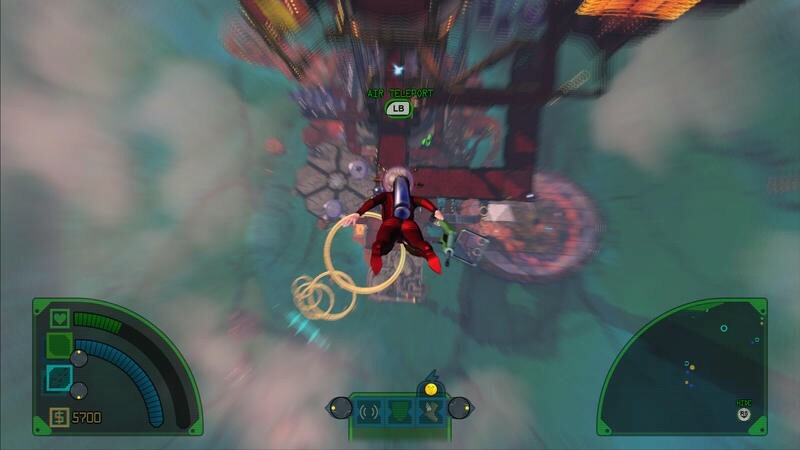 It's especially okay since the other major part of the game, the freefalling from the tower itself, is actually enjoyable. I point this out not because it makes the game lackluster, but because the simplistic approach will definitely turn off a few players. The good and bad news? This one is short. Some might feel cheated a bit by its length, but at least the simplistic combat doesn't grow stale over 20 hours. The game is done in like five or six, so, hey, there's that. Right, about the freefalling. 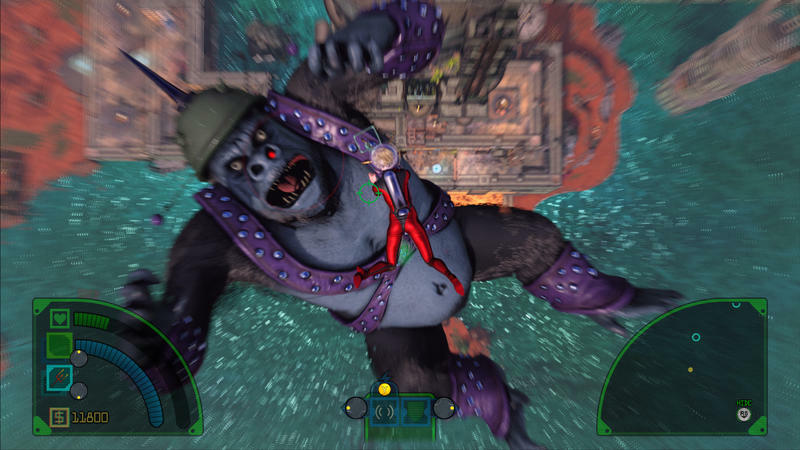 Once you reach the titular tower in The Deadly Tower of Monsters, the game becomes a lot more fun. 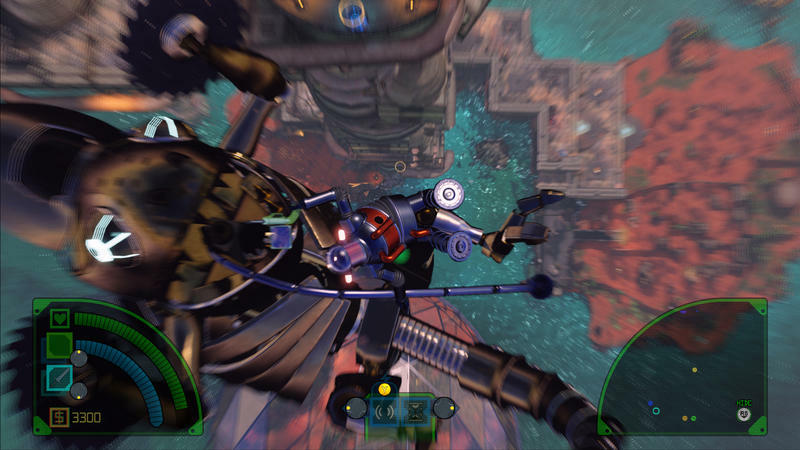 You'll scale the tower, sometimes impeded by bosses or required power-ups, and you'l get higher and higher and higher. 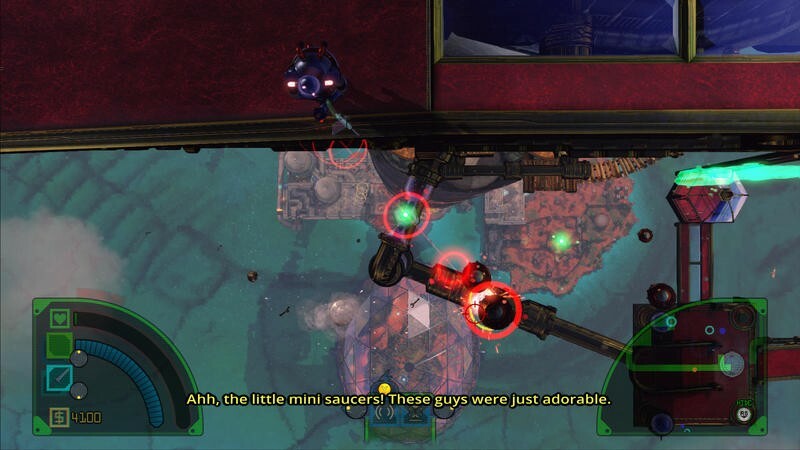 That sense of height works, especially when you look down and pop off a target below or stop enemies from reaching your height. Jump, and you'll descend the great height that you've climbed, sometimes while tasked with flying through rings or dodging massive beasts. 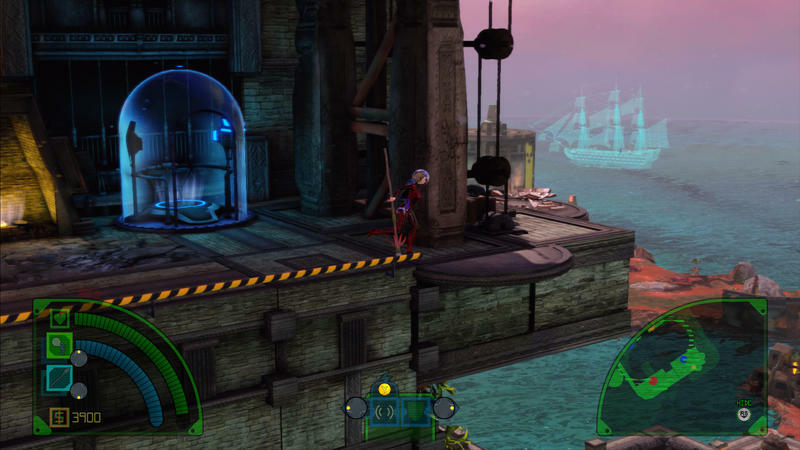 Coupled with the ability to teleport to a previous ledge, the falling is the best part of The Deadly Tower of Monsters. It just brings this really great feeling of speed and openness that the game lacks in just about every other facet. Truly, if you can get past the simplistic combat, falling with one of the three main characters is practically worth the price of admission alone. Well, that and the occasionally brilliant B movie cheese. 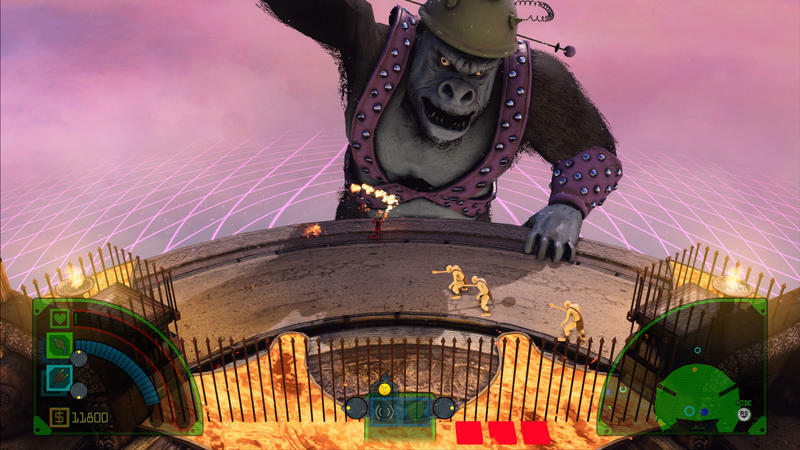 It's not perfect; but, just like the B movie genre it apes, The Deadly Tower of Monsters is fun enough. As fans of the B movie tier of entertainment will tell you, the mediocre sounding moniker doesn't necessarily mean that there's no fun to be had. B movies are cheap to make, easy to watch and, sometimes, just campy enough to be incredible. 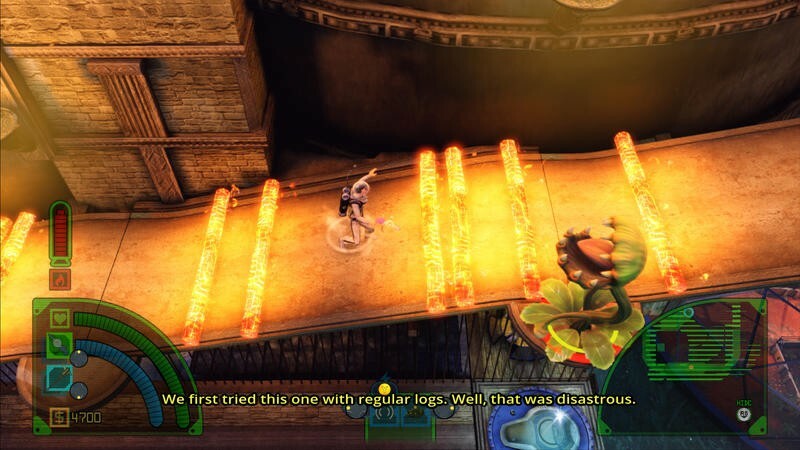 The Deadly Tower of Monsters succeeds in that it's a fun "B movie"-esque game. It's simple, straightforward and relatively inexpensive. It's not as funny as it should be, but it's serviceable. This is a game that's really going to serve the sect of fans that grew up watching bad sci-fi and horror flicks. I fall into that category, and that's probably why I enjoyed this game as much as I did. 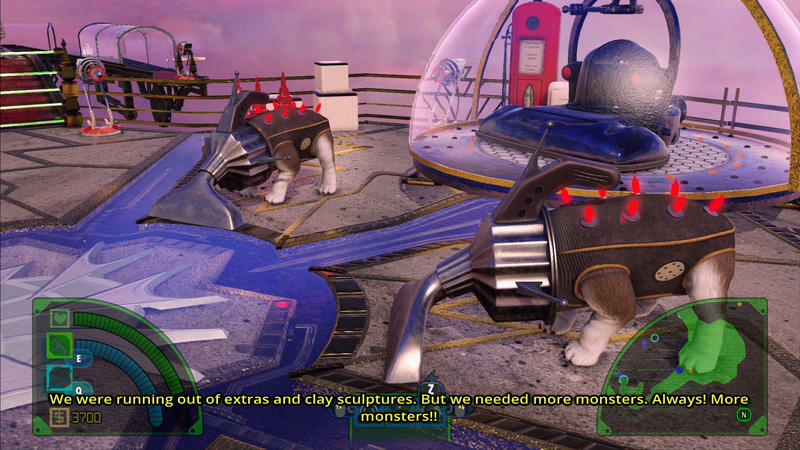 It's not perfect; but, just like the B movie genre it apes, The Deadly Tower of Monsters is fun enough. Its $14.99 price point is a touch too high, as far as I'm concerned. The game is short, and it crashes way more than I'm willing to accept. I enjoyed this, but five dollars cheaper would have taken it from a Wait and made it a Buy. As it stands now, wait for a small price dip and then dive in. With that said! 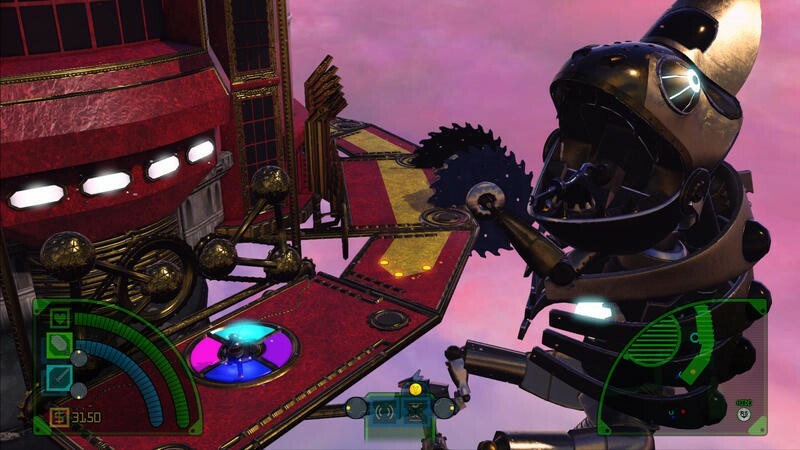 The game is selling for $9.99 on Steam with a temporary launch discount. If you play on Steam, grab it for that price. It's well worth it. 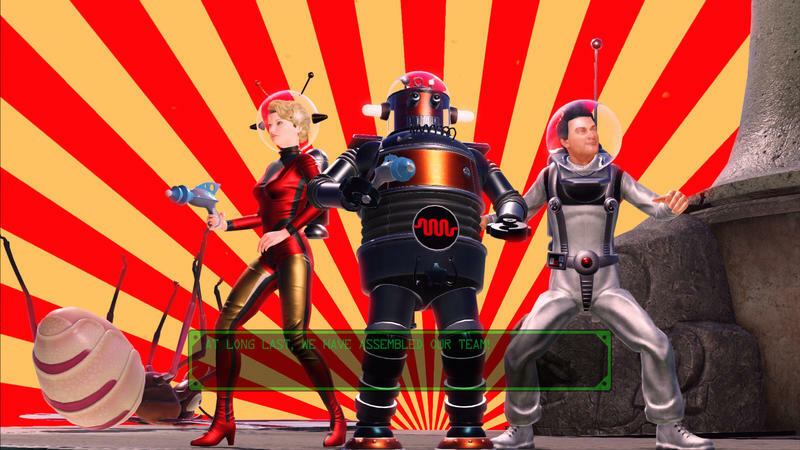 Disclaimer: We received a code to download and play The Deadly Tower of Monsters from the Publisher on Steam.